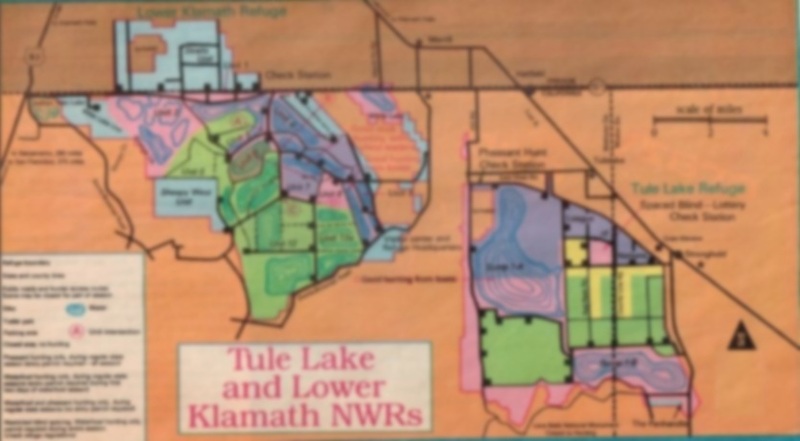 2018, Tule Lake and Lower Klamath Refuge duck hunting in California and refuge report, Hunting Map, how and where to hunt, Tule Lake Refuge Local Duck clubs and day use duck blinds or leases. Not bad hunting during the last two weeks for ducks and geese,out of Tulelake, and some new storm fronts should keep the birds moving. Becuase of the years of drought on the Lower Klamath side they are just starting to put some water in the hunt area, but Unit 6a has been flooding. Unit 6b1 has the fresh flooded food the ducks crave. KLAMATH BASIN — In general, Sump 1b has seen the best action for ducks and a few geese. The spaced blind area has not been shooting well. the Lake itself has been slow, there are very few geese around and there has not been any new fields flooded. There is plan for more water for the refuge this year, but November on should be excellent. TULE LAKE — There are lots and lots of ducks in the Klamath Basin right now. Something like l20,000 pintails, just to start with. And the fruits of one of the best local goose hatches in recent times. In short, hunters who won't drive north to get into some of the hottest Paciﬁc Flyway shooting in the state could be making a big mistake. Stay tuned for more duck hunting reports as the season progresses. According to local hunters, it should continue in the same vein. A lot of them are local birds that were part of a healthy hatch, but almost all are young, which makes it tough to tell in this part of the season whether you’re looking at a female mallard or just a “scraggly looking drake” . Pintails are thick in the area too, have been sitting more on closed areas than in the hunt-able sections. A few widgeon are showing up as well. It is mandatory to have a boat on the Tule Lake Refuge, true to its name, is chuck-full of tules that provide natural cover. You don’t even have to pull a camo on your boats; just work into some thicker cover and a few tules over the boat. The number of dekes depends a lot on how dense of cover you are in, only a half~dozen decoys, but also spreads of 200 birds in open water.. Traditionally, a lot of calling goes on at Tule Lake Refuge , partially because of the species (mallards) that use the ponds there. 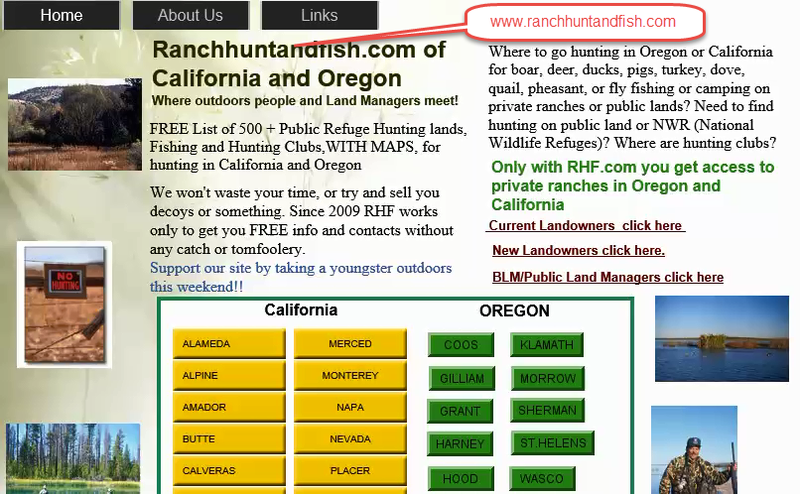 On Lower Klamath Refuge, chest waders are sufﬁcient protection in most areas, as seen on our Refuge Hunting Map but on Units 4 and 6, you’ll need a boat, Decoys are highly recommended there, too, although there is some limited pass shooting. If there’s any pass shooting going on for ducks, it’s on Lower Klamath Refuge on foggy and windy days, but you have to have the right conditions,. If you’re a ﬁrst-timer on the refuges or a relatively inexperienced duck hunter,the channels in the marsh are a fairly complex system, and you have to know where you’re going. Traditionally, the more seasoned hunters take on the extra challenge of hunting Tule Lake Refuge. Another factor to keep in mind is that early in the season, the water is maintained at a higher level than later. Starting sometime after the ﬁrst of November, the lake is drained some for ﬂood control. So some shallow areas of the marsh that were accessible on the season opener may not be by the second or third week of November. About the ﬁrst of December, hunters should check ahead for ice conditions sometimes the entire refuge freezes. But, to that, the “concentration” factor: the ice will isolate waterfowl in a small percentage of refuge acreage, making them easier to target. 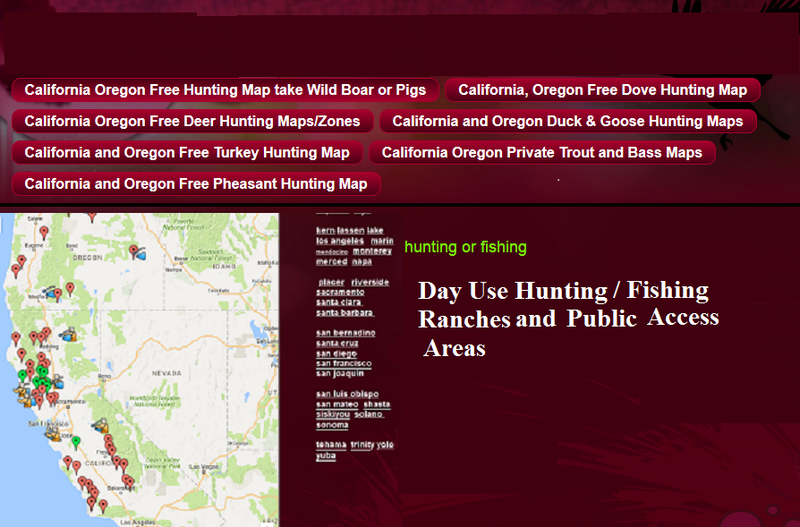 Be sure and check with refuge personnel for ice conditions, use our Refuge Hunting Map and don’t hunt areas that aren't solid enough to be safe though. Our duck hunting reports will try and keep you updated. Despite fair numbers of whitefronts in the general area, hunters traditionally have a hard time getting them to come into the huntable sections of the refuge. Here’s a few ways to boost the odds: whitefronts are a good decoying breed. As with ducks, how many is a matter of choice, but hunters have been known to set out “hundreds.” Some people also call whitefronts in, but some hunters feel, “If they‘re going to come in, they're going to come in. " On the Tule Lake Refuge, shotgunners take a lot of snows during most seasons too. But the light geese are much harder to decoy than the whitefronts, so most of it’s pass shooting. The Lower Klamath Refuge (as seen on our Refuge Hunting Map) is where most of the honkers are taken, and looks like a best bet this year, owing to record hatch production of local birds. The best hunting for the honkers is generally at the beginning of the season and then later, after freeze-up. If you hunt the Tule Lake Refuge unit, you better have a retriever as the cover is so thick in there, so a dog is highly recommended. On Lower Klamath Refuge, dogs aren’t as much of a necessity, but they'll still make ﬁnding the birds a whole lot easier, and probably provide you with more shooting time too. With a well-planned strategy, pre-scouting and careful hunting, chances are you’ll bring down a limit of ducks and a fat pair of geese. But if you plan to dine on whitefront this season, better load up the pick-up. Stay tuned for more duck hunting reports. Hunting private lands in California has several advantages over the public areas. Chief among these are much less hunting pressure, better forage and water supplies and easier vehicle access. It's a fact of life, and hunting on private ranches is almost a sure thing.